Greater Vancouver ranks among the top cities in the country for having the most pampered dog population, according to recent data from Amazon Canada. One walk around the city and you’ll see for yourself as you’ll find nearly as many pups in strollers as you do tots. Given this penchant for poodle pampering people are more likely to bring their dogs along with them on short drives and extended road trips alike. As we recently covered in our new driver distractions article, this practice adds yet another element of risk to road safety in BC. While the best way to avoid a dog distraction when operating a vehicle is to leave Fido at home, we know that isn’t always an option. Knowing this, we are following up with tips to safer driving when you have your dog along with you on the road. The same rule for parents taking their kids on a long drive applies to dog owners. Don’t even think about getting into the car without first making sure they are well-fed and have been walked, which means “taking care of business” on the nearest fire hydrant or tree stump. Otherwise, within minutes of leaving your dog may start barking and causing an all around fuss and lead to distraction while driving. Some dogs simply don’t fare well on extended drives and may get sick or so restless that there is no calming them down. When this is the case, you will have no choice but to leave them with a trusted party (friends, family, neighbor, etc.) or put them in a pet kennel until your return. You will not have this recourse in the middle of a significant road trip, which is why you absolutely need to test the waters by starting off with shorter drives that get progressively longer over time until you can gauge your dog’s comfort level. As per Section 72 of the BC Motor Vehicle Act never allow you dog to sit unrestrained in the back of a pickup truck. 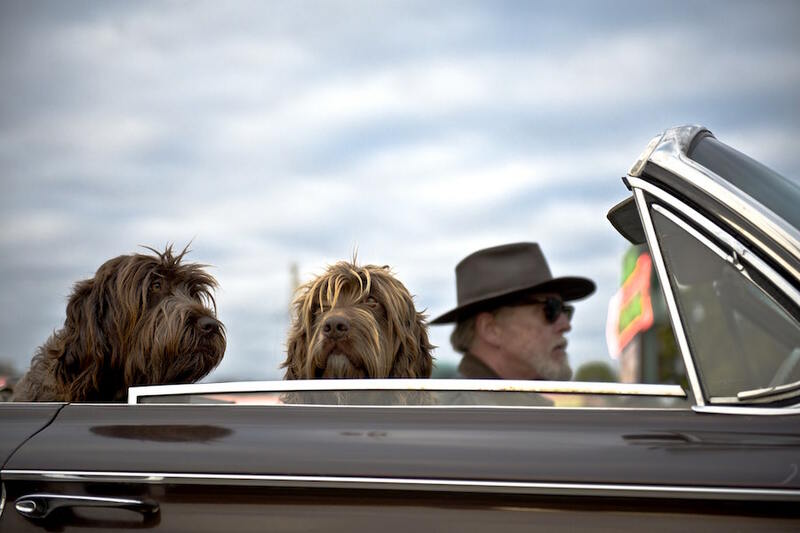 The days of driving with your dog and his/her tongue hanging out of the window may be over, but so will be the concerns for the safety of your precious pet, yourself and passengers, and everyone else on the road. It’s true that in taking the necessary precautions to prevent distracted driving and MVAs caused by having your dog loose in the vehicle, you will be nipping his/her fun in the bud. Therefore, you will need to ease the stress of being a harnessed four-legged passenger by taking more rest stops than you normally when when traveling on your own. If your dog does not have the opportunity to “stretch” his/her legs, take necessary “bathroom” breaks and release their restlessness, they will be more likely to bark and cause a fuss which will once again distract you from your goal of safe driving. Does your automobile insurance cover you for damage and injuries sustained to yourself, others, and your pet? Contact an independent broker at Park Insurance today for a comprehensive review of your current policy.